Yay! I spent 3 Nights 4 Days exploring Seoul for the first time. 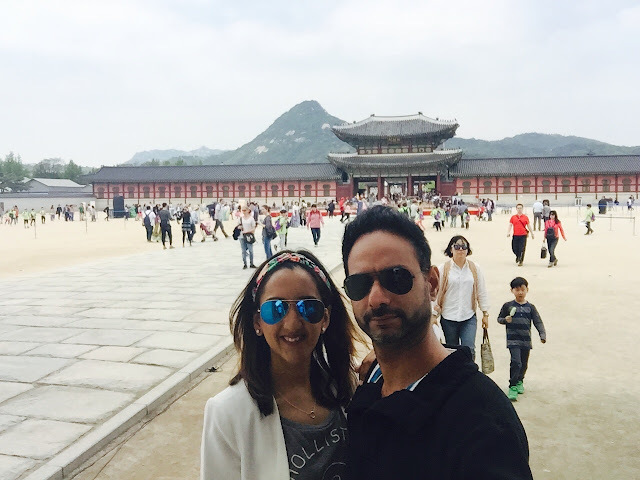 We flew from Singapore via Jakarta into Seoul, it took us nearly 10 hours flight including the stop over. Not so nice but the flight was comfortable. I went during last week of April, the weather was just beautiful. In the morning it was good but when it turns dark, the wind is a killer! We stayed in Mercure Ambassador Seoul Gangnam Sodowe. The location of this hotel was good, right next to the train station and in central district are. We stayed in Junior Suites which was spacious. 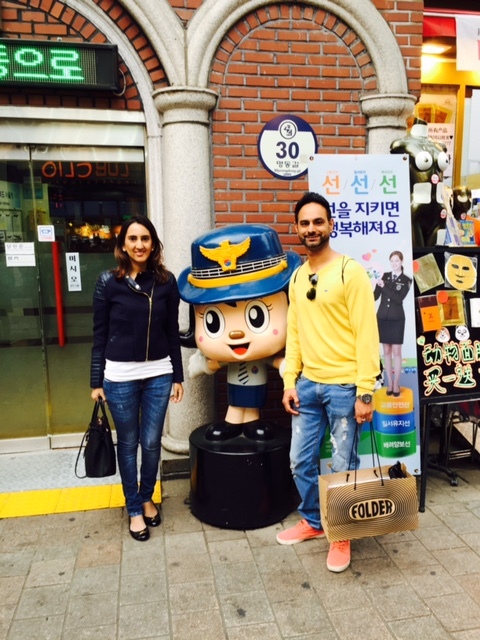 We visited Namdaemum Market which is the largest and traditional market in Korea. It is always very crowded. If you want to buy local street thing, then this is the place to visit. This place is closed on Sunday. Myeongdong is just a very happening place. Full of life. 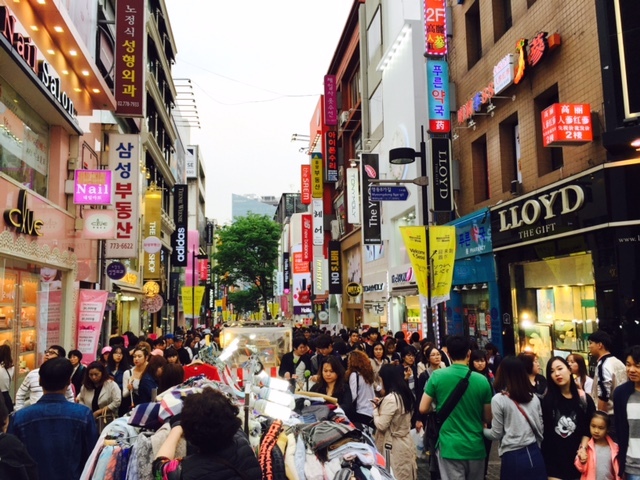 It is one of the primary shopping district in Seoul. 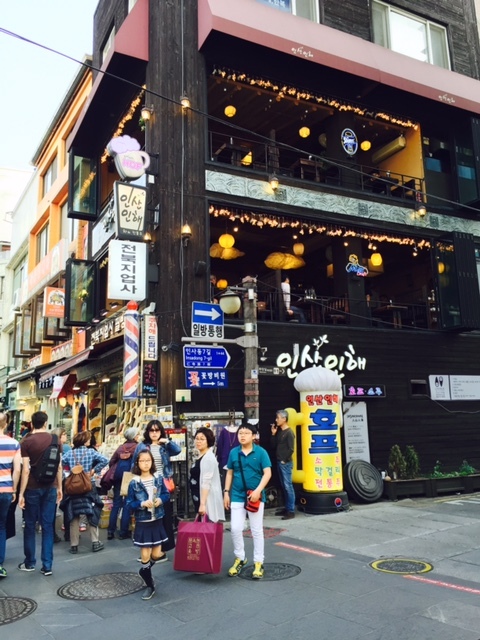 it is the most popular shopping district in Seoul, much like Orchard Road in Singapore and Bukit Bintang to Kuala Lumpur. I enjoyed this street a lot. Many variety for food and shopping. Myeongdong Cathedral, a lovely church with history. 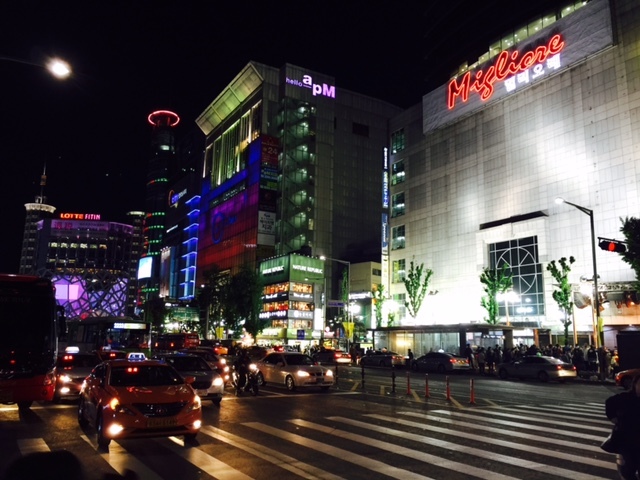 Lotte Mart is giantic shopping complex that is open until midnight. 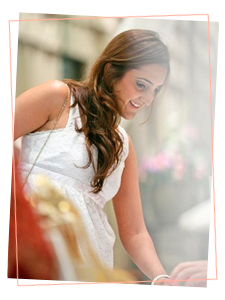 This place is specially made for tourist, it is somewhat like the giant mega store we have in Tampines Singapore and sells everything from groceries to daily essentials, office supplies, apparels, etc. 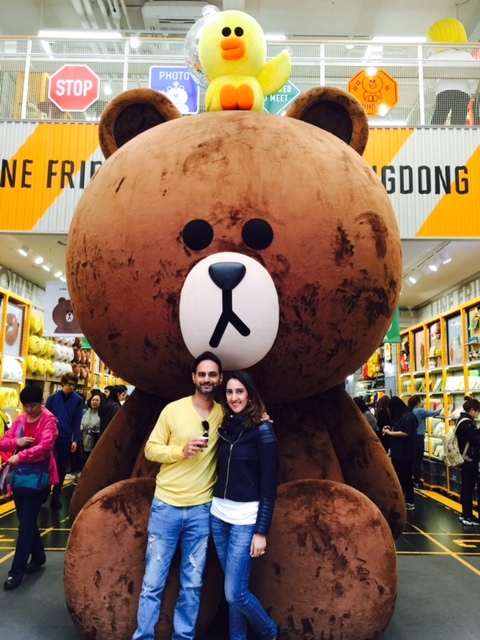 We also made a stop at Dongdaemun Market, which is the major market for wholesale clothing, it's a big area filled with shopping malls all around. I was there during the evening until late night. Nothing seem to stop here. So you have a road that divides the shopping mall. One side the the retail side that is open until 11ish and the other side the wholesale side which opens all night long. My husband colleague had actually booked this place for dinner for us. 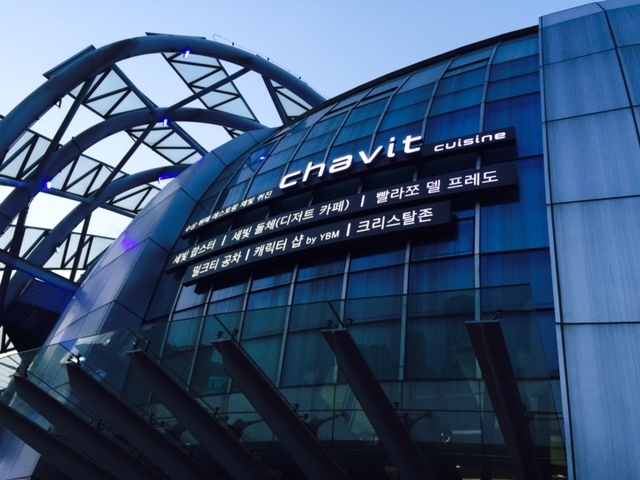 Chavit cuisine is right next to hand river and it placed in Gangnam. The buffet there was fantastic and the view was just beautiful. 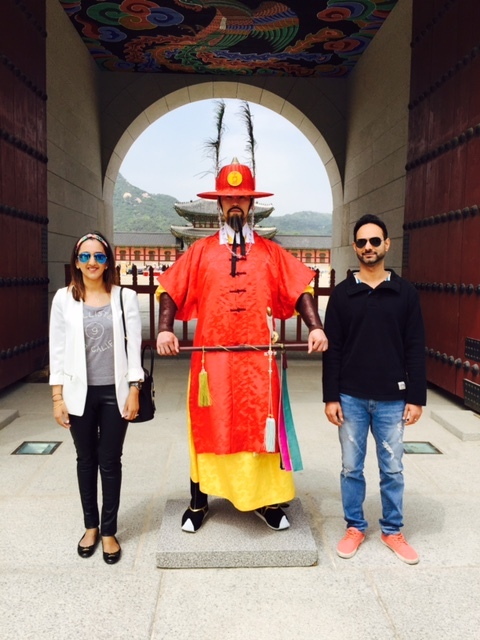 We visited the Gyeongbokgung Palace, this is a massive area. It is the largest palace of the five grand palaces built by the Jaseon Dynasty. Gyeongbokgung literately means "Palace of Shining Happiness". 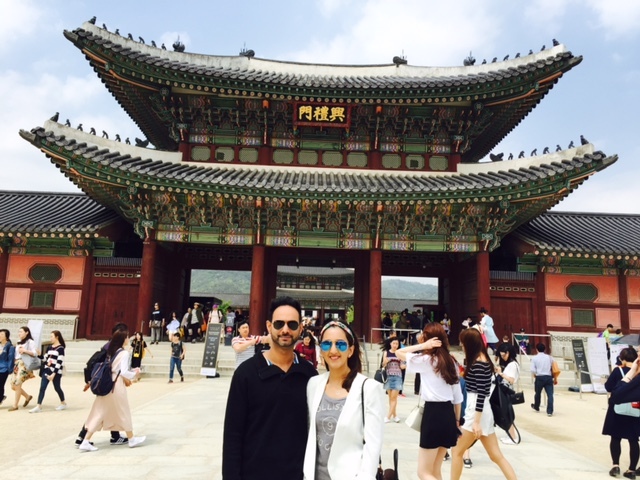 We took a lovely stroll through Bukchon Hanok Village while taking in the delicate architecture of Korean houses. The light brown wooden doors complement the grey brick walls and the delicate green plants so well. It was just a beautiful walk.